Figure 1. 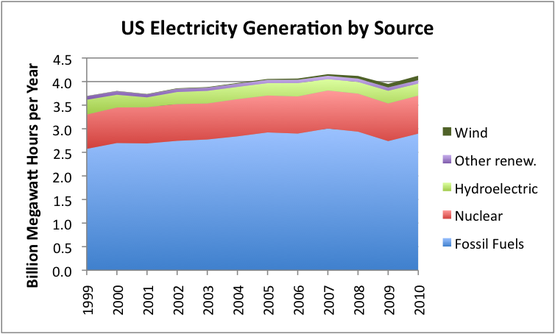 Wind energy (dark green) is barely visible in a graph of US energy consumption by source. Based on EIA data.